This beer was interesting. 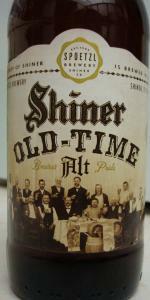 I was not expecting something like this from Shiner, but I really enjoyed. It might be my favorite beer from that brewery.